The “nexus” between water, food and energy has been recognized as one of the most fundamental relationships and challenges for society. Wetlands are a fundamental part of local and global water cycles and are at the heart of this nexus, providing numerous ecosystem services to humankind. Nonetheless, wetlands continue to be degraded or lost and, in many cases, policies and decisions do not sufficiently take into account these interconnections and interdependencies. However, the full value of water and wetlands needs to be recognized and integrated into decision-making in order to meet our future social, economic and environmental needs. The development of a study on “TEEB for Water & Wetlands” was initiated by the Ramsar Secretariat, in partnership with the Institute for European Environmental Policy (IEEP), International Union for the Conservation of Nature (IUCN) Wetlands International, The Convention on Biological Diversity, (CBD), the Helmholtz Centre for Environmental Research (UFZ) and the UNEP TEEB Office. 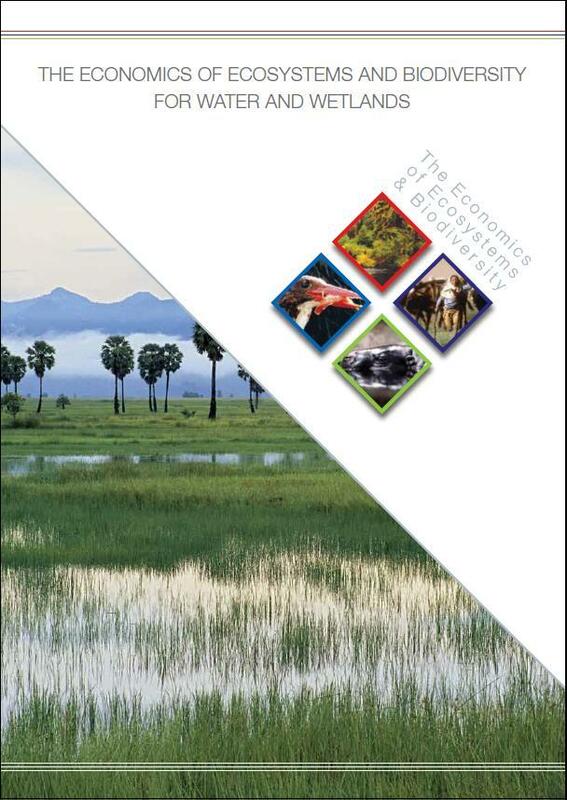 A standalone report builds on the TEEB approach to generate a better understanding of the ecosystem service values of water and wetlands and encourage improved decision making and business commitment for their conservation, investment and wise use. The primary objective of the report is to help identify major gaps and inconsistencies in current knowledge of the economics of water and wetlands, so as to inform agenda-setting for further work on the economics of water and wetlands. The report presents insights on critical water-related ecosystem services in order to encourage additional policy momentum, business commitment, and investment in the conservation, restoration, and wise use of wetlands. It presents recommendations on how the value of water and wetlands can be mainstreamed into decision making.